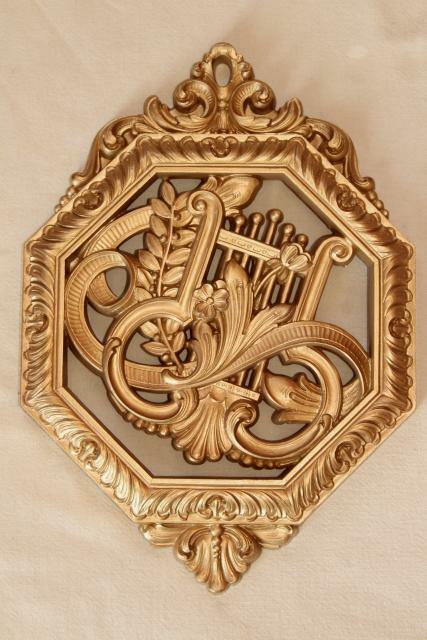 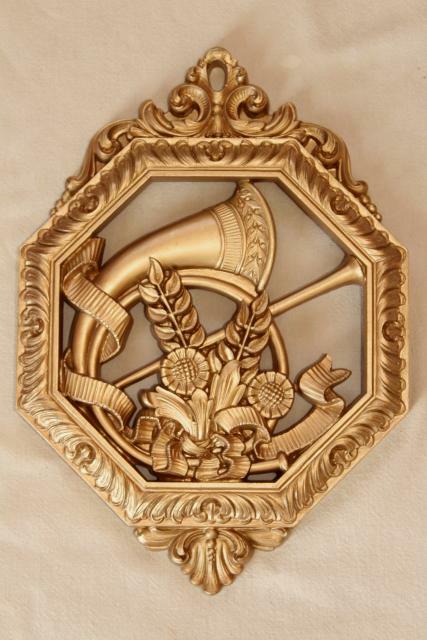 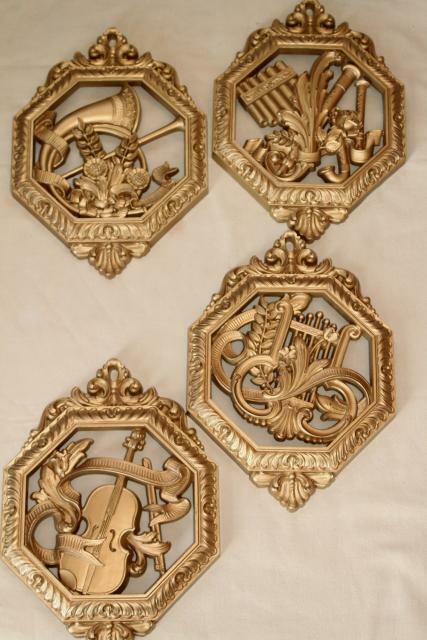 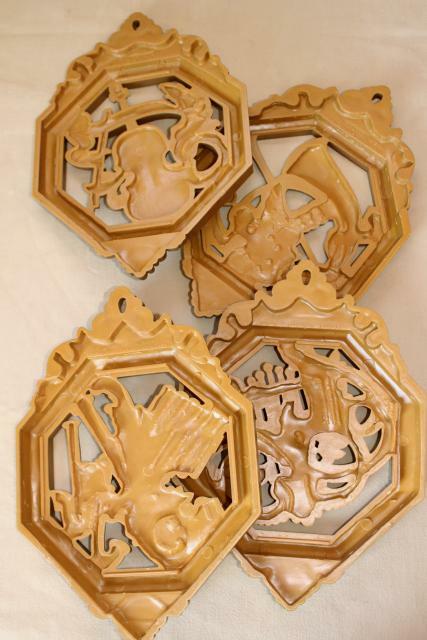 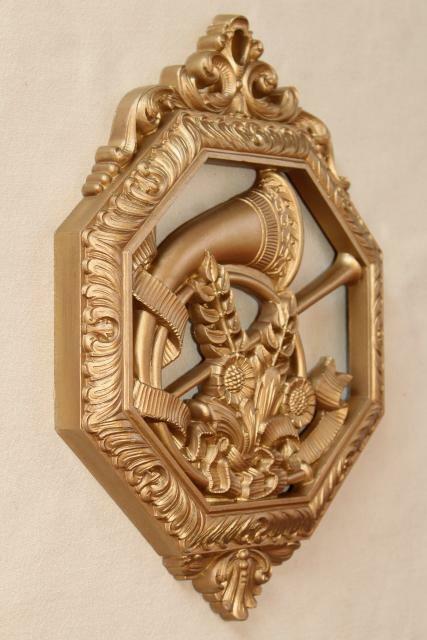 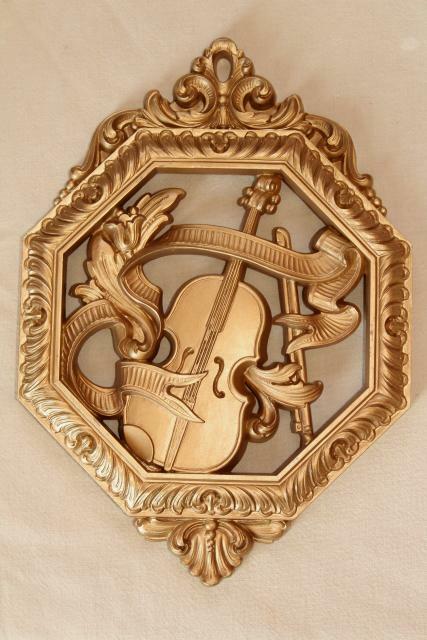 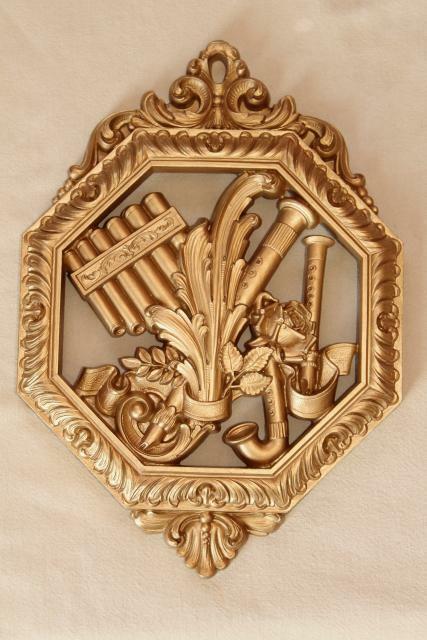 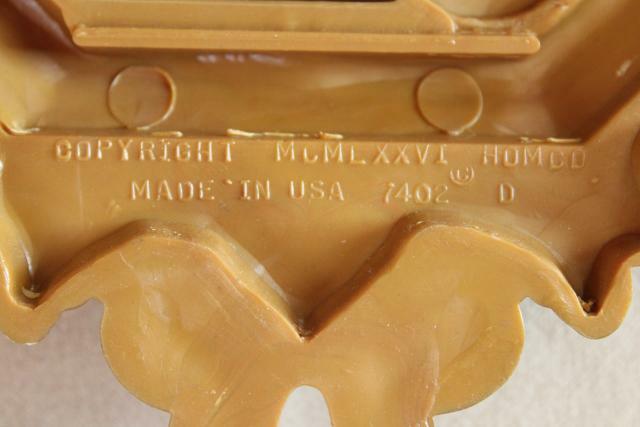 Set of four 1970s vintage Homco ornate gold plastic wall plaques with a musical theme, a lute, a horn etc.. 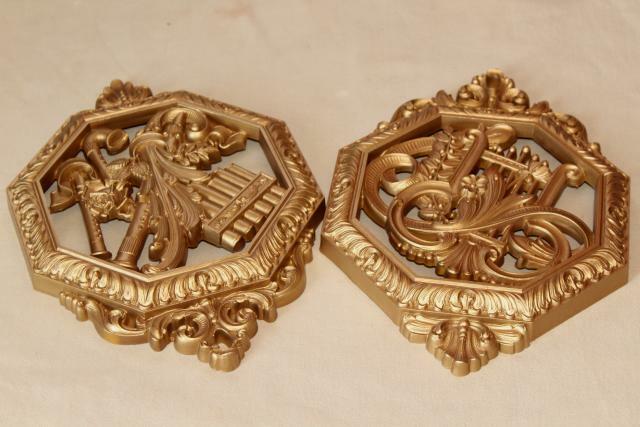 These measure about 12" x 8 1/2" overall. 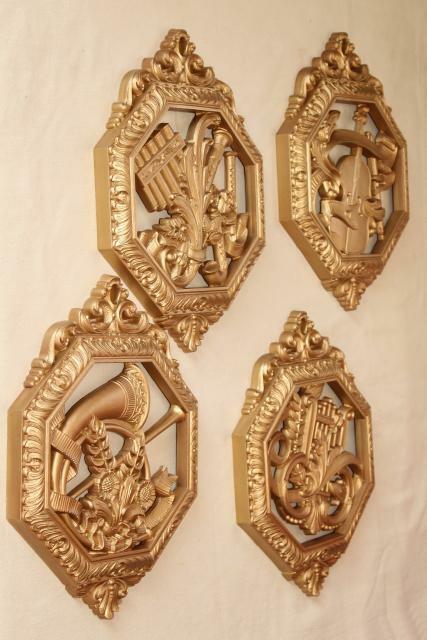 The whole set is in very good clean condition.